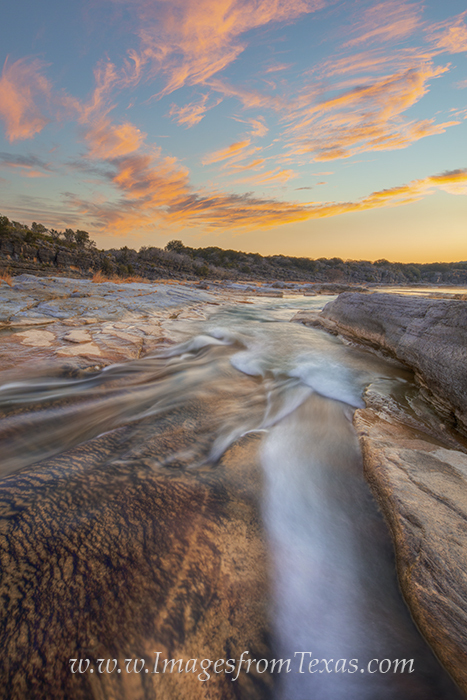 In the soft glow and half-light of early morning, the clean water of the Pedernales River flows through the Texas Hill Country. Above, high clouds of pink and orange greet the beginning of a new day in central Texas. Photo © copyright by Rob Greebon.